Lady Haig welcomed guests to Bemersyde House last week for the annual Bemersyde award ceremony for the largest fly caught Atlantic salmon, caught and released, on the River Tweed in 2014. 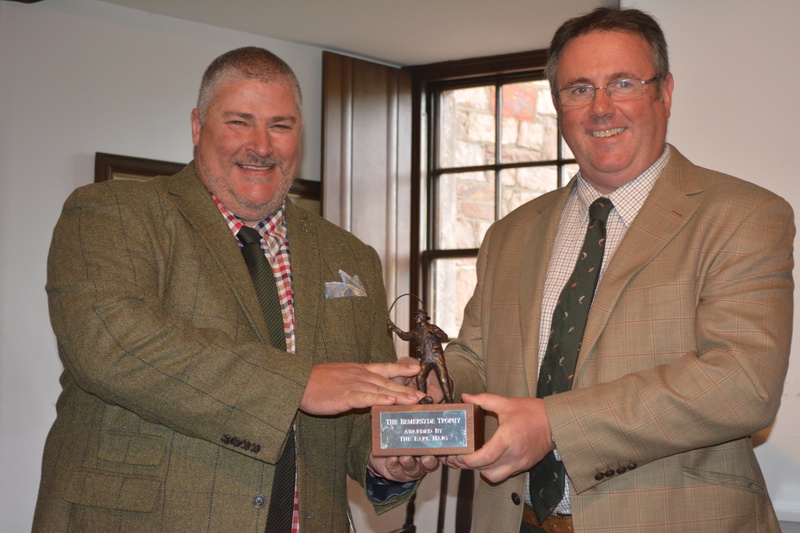 The trophy received entries from anglers who had caught some magnificent salmon on the Tweed, including Iain Wilson’s 32lb spring salmon. 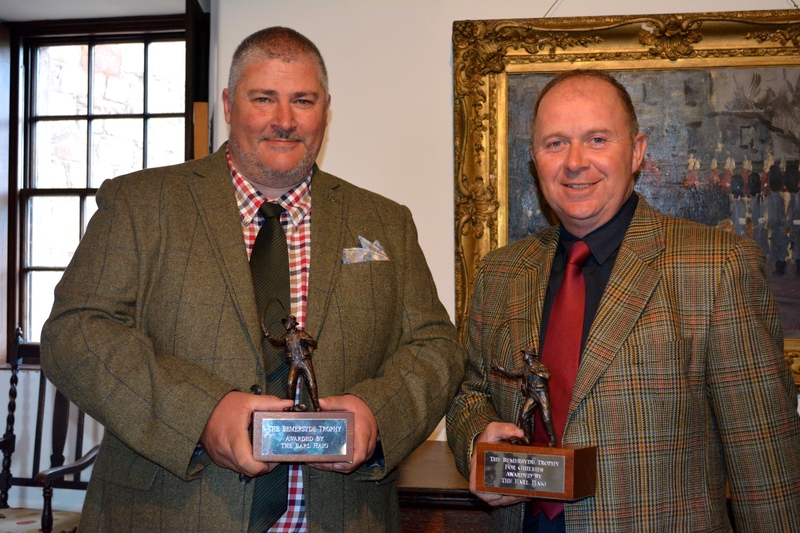 This years Bemersyde Trophy winner is Wayne Longstaff from North Yorkshire who caught a fine spring salmon on the Hendersyde beat of the River Tweed last May. His ‘fish of a lifetime’ at 33lb was superbly shaped, in prime condition and sea-liced. FishPal’s CEO Mark Cockburn presented Wayne Longstaff and Hendersyde head boatman John Kitchingham with their trophies. Mr Longstaff’s salmon, accurately weighed at 33 lb with a length of 45 inches, was landed on May 5 in the Cottage Stream pool on Hendersyde beat, River Tweed, before being carefully released back into the river. To be eligible for the Bemersyde trophy a fish must be caught on a fly in a sportsmanlike manner and be returned to the water. The salmon was caught on a Hardy Elite rod with a Hardy 2000 reel, a Mach 55 sink-tip fly line and a Pot-Bellied Pig fly. The fish was weighed in a weigh-net by Hendersyde head boatman John Kitchingham. The accuracy of the weigh-net was subsequently verified by keen angler John Taylor of Wylie Butchers in Kelso using 33 lb of meat. Caterers for the Award Ceremony were local Borders hotel The Buccleuch Arms in St Boswells.